Netizen thanks Alden Richards for making her mom happy again after the death of her father. She thanked the actor and the team behind Victor Magtanggol for their hard work just to provide good entertainment to everyone. 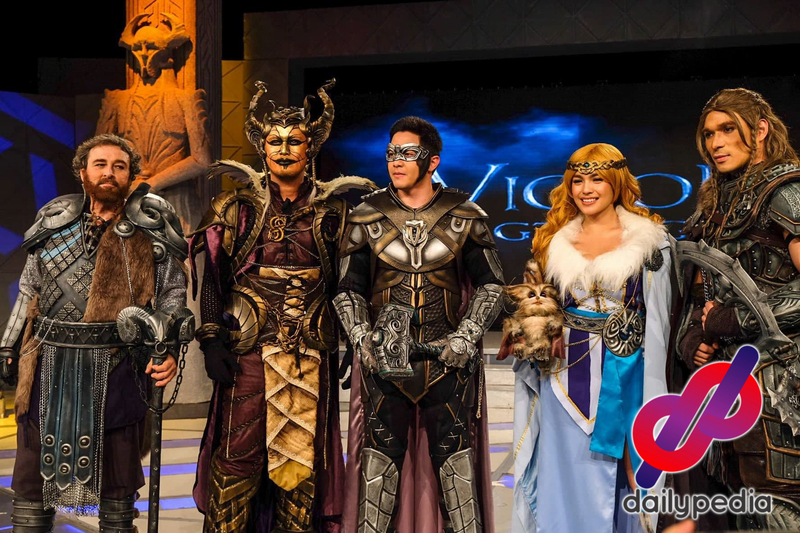 GMA’s newest primetime series, Victor Magtanggol, has received mixed feedback ever since it first aired on July 30. There were praises, but there were also who were less impressed, but for an Alden die-hard fan, is thankful for her idol to have done the project since it helped her mother from grieving over her husband’s passing. 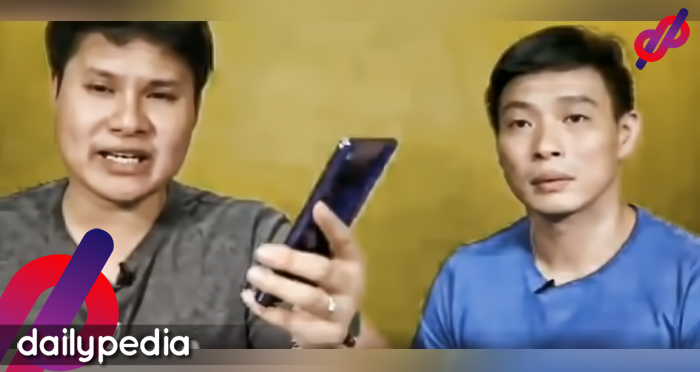 Other netizens also joined the discussion when it comes to ratings and trends between the show and its rival, Ang Probinsyano. 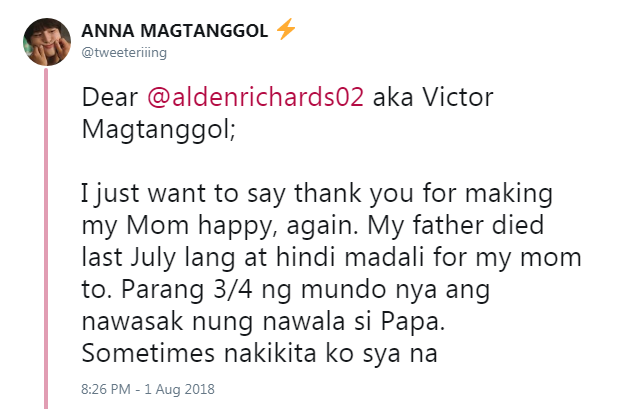 This Netizen, who turned-out to be Richards’s fan, tweeted about how her mom is happy again as they watch Victor Magtanggol. Anna’s father died in July because of cancer and other complications. 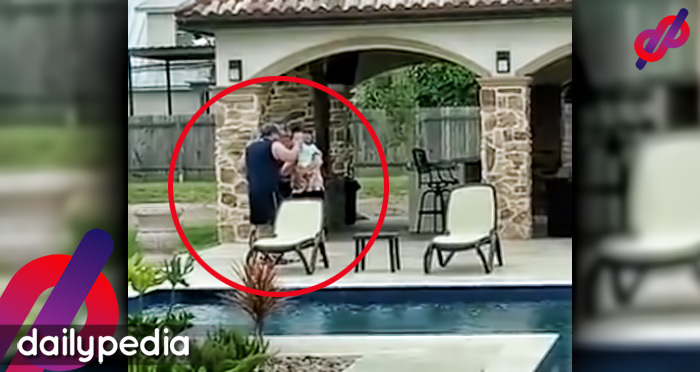 She observed how her mother began to smile again and ‘somehow’ happy while watching the series. umiiyak, nakatulala, nag iisip ng malalim. 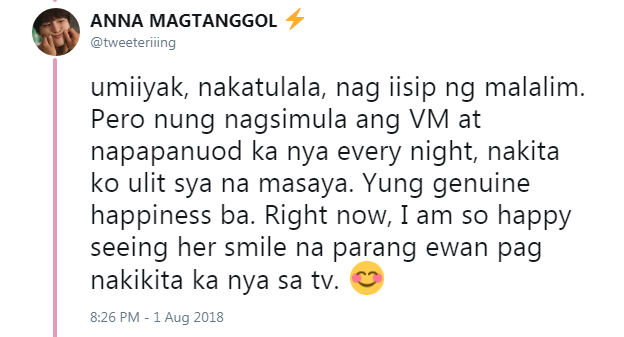 Pero nung nagsimula ang VM at napapanuod ka nya every night, nakita ko ulit sya na masaya. Yung genuine happiness ba. Right now, I am so happy seeing her smile na parang ewan pag nakikita ka nya sa tv. That small gesture of replying to the tweet, couldn’t help the fan burst in joy and gratitude. 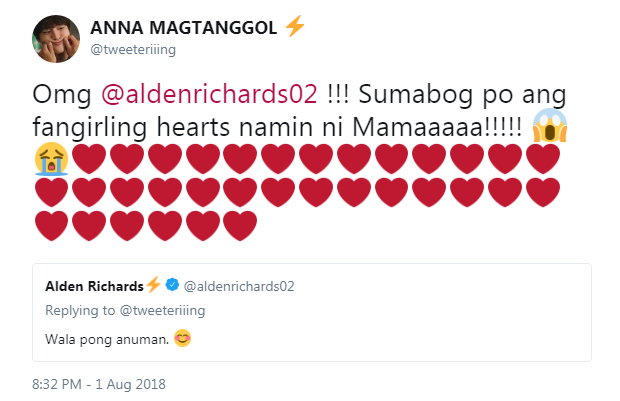 In a private message, Anna shared that she has been a fan of Alden ever since she first saw him on TV and her mom has been a fan since the Aldub phenomenon. She also added how much Alden meant to them and how he helped them grieve over the loss of a loved one. Anna ended her message with a touching message to her idol and the team of Victor Magtanggo. “To Alden, we love you for being who/what you are. Yung kindness mo, ung passion mo, yung drive mo to fulfill your goals, and yung totality mo as a person. Continue to be an inspiration, do what makes you happy, and be who you want to be. 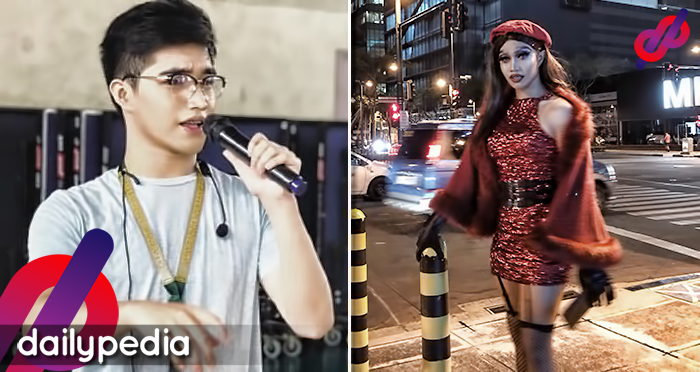 Hindi yung gusto ng iba for you, pero yung gusto ng Diyos at gusto mo para sa sarili mo. As long as you’re not hurting anyone, go lang. In a tweet, Anna said that sometimes the ratings aren’t the most important thing but the happiness and inspiration the show brings to other people.